I create sponsored content, case studies, press releases, company and executive profiles, articles, and other materials that support business-to-business marketing. I’m most experienced helping large technology companies sell to small and medium businesses. I’m skilled at interviewing customers, learning about their business challenges, and documenting and quantifying the benefits they receive from a product. Although most of my work is done for tech companies, the same tools and techniques can show how customers in any market use a product or service to save money and increase productivity. What’s with “Dispatches from World Headquarters”? 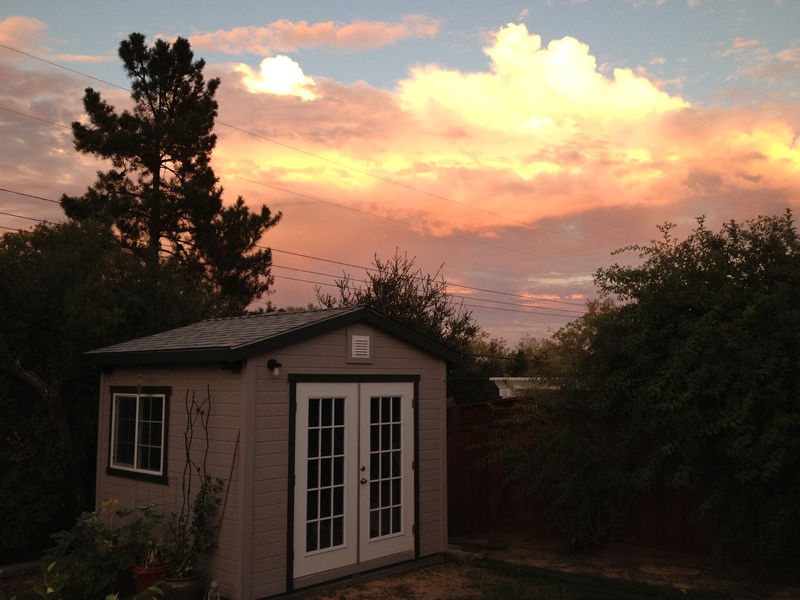 When I moved to Redwood City in 2012, I had a 10×10 building constructed for a backyard office. I jokingly started calling this humble structure my World Headquarters, and the name stuck. (My previous home offices were “The Pit of Despair” and “The Aerie.” I like to name things.) A picture of World Headquarters (with fantastic clouds in the background) is at the bottom of this page. Why the name “Marble Publishing Services”? When I first went to work for myself, I wanted to create a company name that was memorable and flexible. I fished about awhile for a company name; one day my eyes fell on the big bowl of marbles I have had since childhood. Playful and well-rounded, they seemed like an appropriate symbol. Regarding “publishing services,” well, I have provided various publishing-related services since I hung out my shingle, including writing, editing, interviewing, book production and packaging, chapbook design and production, consulting, project management, podcasts, print design and production, video production, audio recording, and image database setup and maintenance. Though most of my time is spent writing today, my professional history helps me put that work into a larger context—and that, I think, makes the work more valuable to my clients. If I can be of service, or if you’d just like to chat about any of this, please contact me. *With all respect to the late Admiral Stockdale.